Location: 244 S 3rd Street. Hours: Tours mandatory, 11:00 – 3:00 April – November. Check website for other months. Even if their names are unfamiliar, Samuel and Elizabeth Powel played a vital role in colonial Philadelphia, and early America as a whole. Samuel Powel was the final mayor of Philadelphia under the crown, and the first under the United States. He was a very popular politician, as well as one of colonial Philadelphia’s wealthiest men. Elizabeth Powel was among the first women to buy and sell her own properties, which she inherited from Samuel after his death in 1793. Guests to the house included George and Martha Washington, John and Abigail Adams, Benjamin Franklin, Marquis de Lafayette, and several other major figures of the American Revolution. Being among Philadelphia’s elite, the house is very lavish. Upon entering, visitors are greeted with a hallway leading to a stairwell, with a large arch overhead. They say that the most important people would be allowed behind the arch. The first floor is where the dining room is, where the Powels dined with some of history’s most famous figures. 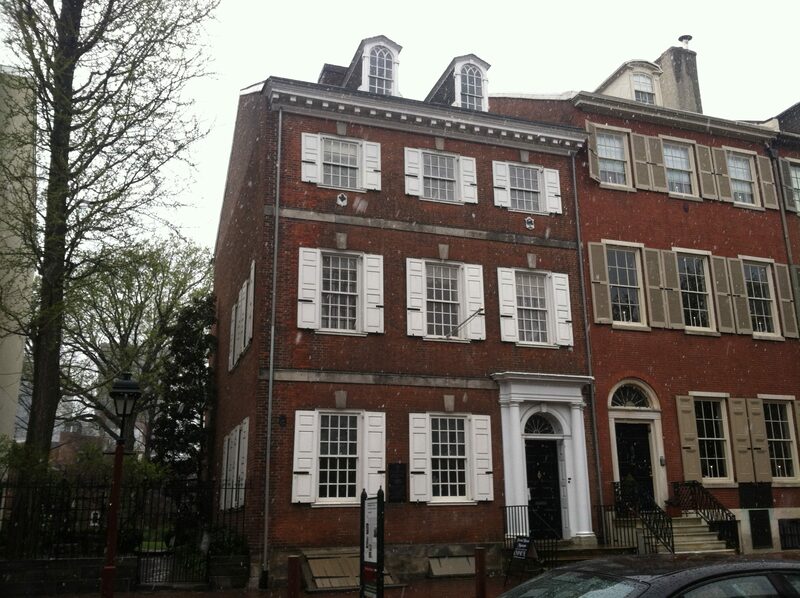 The tour of the house includes the dining room, Samuel Powel’s office, their ballroom, and a parlor. They have a garden in the back, where servants’ quarters are located. Gardens were popular among wealthy people during these times, and several others can be found in the rest of Society Hill. All of the main rooms are richly decorated, with portraits and antique clocks and furniture. The tours, which are obligatory, tell stories of the Powels, their lives, and the things that happened in their house that shaped the course of the nation. The stories tell of Samuel Powel as the more reserved mayor, while Elizabeth was more of a public figure. They tell about John Adams confessing to “indulging in a sinful feast” at the Powel’s house. They create a sense of knowing the world they lived in, despite having lived so long ago. General admission is $8, while students and seniors are $6. Two of the rooms aren’t original. One of them was lost en route to the Philadelphia Museum of Art, another is located in New York City’s Metropolitan Museum of Art.